Blender Way to Better Cooking. Washington, North Carolina. Hamilton Beach. No Date inside. Softcover. Very Good. Edgewear. Also includes How to use and care for your Hamilton Beach. Booklet. Black and White Illustrations. 42 pages. 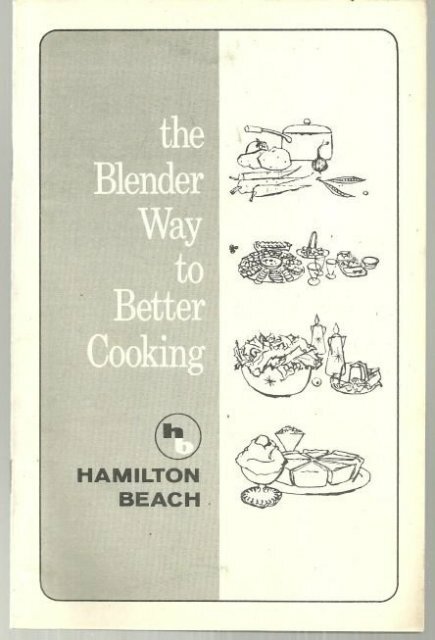 Items Similar To "Blender Way to Better Cooking Using a Hamilton Beach Blender"